Carpentry is a skilled craft that requires a formal training, and hands on experience. Any construction work is considered incomplete, without a carpentry work. In carpentry London, we have a team of skilled carpenters, well qualified, experienced and accredited, by relevant trade body. 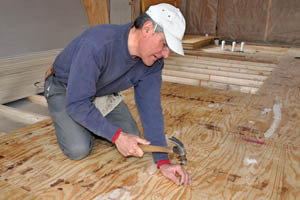 We are fully insured, and we are qualified for any type of carpentry work, or cabinet making, in building contruction. Carpentary is a specialised field, and like any other trademen, we work closely, with Architects and engineers, to complete a construction job. Our well trained Carpenters have thorough knowledge about various types of woods, various methods of cutting, filing, joininig and surface coatings, such as varnish, laquer, paintings and filling with putties. Some of the carpentry work involves fine carvings, and decorative works, and only a skilled, and experienced carpenter, can undertake such jobs. Our team will make assessment of the customer’s requirement, and prepare a no obligation quote. We can undertake various types of carpentry works, such as kitchen cabinet, wall panelling, making suitable furnitures, doors and window frames and wardropes. 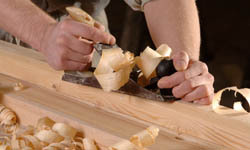 Whatever may be the nature of work, our carpenters will be able to make a quick estimation. Our offers are transparent, and easy to understand by the customer. We can also advise the customer, on the type of wood suitable for a specific application, and what type of finish will be attractive and lasting. In olden days people use French polish and varnishes for wooden furniture and cabins. But, technological advancement in polymer coating, has introduced many new products, such as synthetic resins, such as alkyd and polyester resins and coatings. They offer water and termite resistance and fine gloss finish. Our Carpenter will inspect the site and discuss the requirement with the customer. We can offer constructive suggestions right from the wood selection till finishing, based on our previous experience. Then we will prepare a detailed quote outlining the bill of materials, specifications and the make. We will also mention the time duration required to complete the job. Once the customer approves the quote, then we will undertake the carpentry work. Sometimes we may complete the job in our works and bring it to the customers’ premises and fit them according to the drawing. We may prefer to do certain minor jobs at the site itself. Safety is an important issue, and we have necessary tools and infrastructure at our works, to complete the job in time and also do the finishing such as applying lacquers or painting. These surface coats may have volatile organics solvents and it may be safer to apply such coats at the works and bring to the premises. We may carry out some final ‘touch-ups’ at the site if necessary. Making kitchen cabins and fitting sinks and plumbing requires careful coordination with plumbers to avoid any water leakages. The kitchen cabins should fit well into the allocated space and blend with the walls and ceilings for an aesthetic look. Our sale team is very friendly and they can take your phone calls 24x 7 and offer a customer friendly services for all your carpentry requirements. Restoring period properties is all about the carpentry. London has its fair share of restorations, so there is plenty of work for a skilled carpenter. We spend a quick day with Roger Brown, a carpenter who works for My London Builders. He seems to spend more time travelling between sites than working with wood but he gets the job done.